Have you seen any of those summer sandals at Target recently? I usually don’t find shoes there that I like, but as I was wondering through the aisles, I happened upon a cute pair of sandals. They were super comfy, but I didn’t really like the pattern on the strap all that much. I bought them anyway because I knew I could come up with a DIY fix (and they were only $17). The result is today’s DIY makeover project. 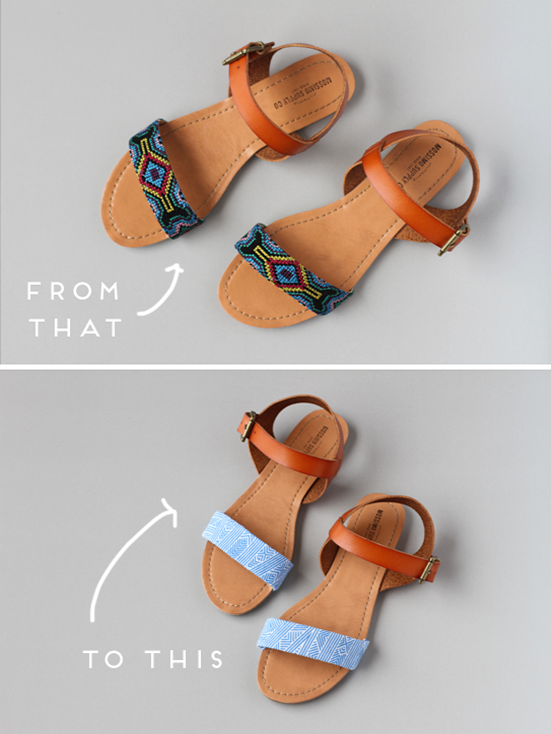 How-To: Measure the straps of the sandals that you want to recover and cut a piece of fabric slightly larger than that measurement on all sides. I added an extra 1/2 inch on each of the four sides before cutting my fabric, so I would have excess that could be folded underneath and/or cut off after being glued down. Apply a generous amount of Mod Podge to the strap, with a paint brush, as well as the underside of the strap (to glue the excess fabric underneath). Then attach the cut piece of fabric to the strap. Push down securely, smoothing over the surface with your hand and adding clothespins if necessary, after tucking the excess fabric underneath the strap and adding additional Mod Podge, if necessary. Let the sandal strap dry and then, using an Xacto knife, cut off the excess fabric at the base of the sole. Re-glue anything that has come loose and tuck any extra fabric ends in to the under side of the strap and glue down. Coat the fabric in another layer of Mod Podge to seal the fabric. Repeat with other sandal. Now, who is ready for a picnic? So, what do you think? Will you be DIY-ing any sandals for summer? these are so cute! great idea brittni 🙂 as always. It’s super simple, Leen. 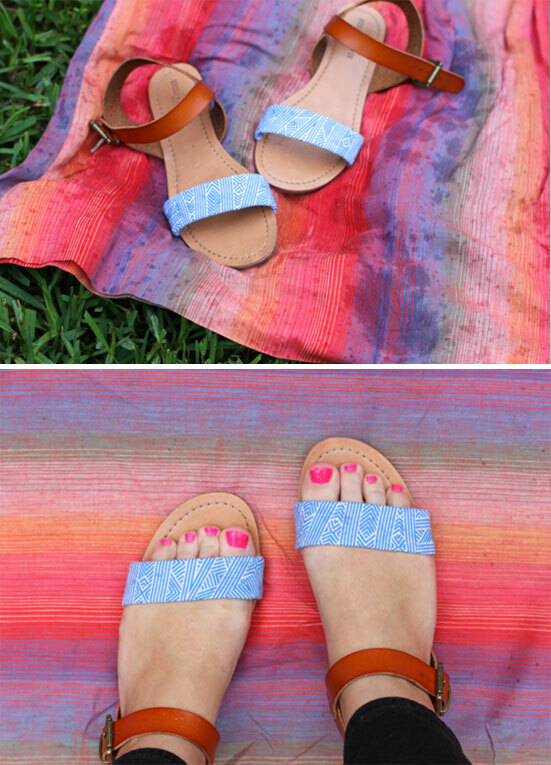 If I ever find anymore of these sandals in my size, I’m buying all of them…I have lots of other fabric options I want to try (plus you could totally paint the ankle strap with a textile paint and change the look even more). Thanks for stopping by. I love the transformation here! I’ll keep this idea in mind for the next time I come across a pair of sandals that could stand to have a better pattern. Oh, good. Glad to hear that Becca. And send me a photo of your results if you ever find a pair to try this on. 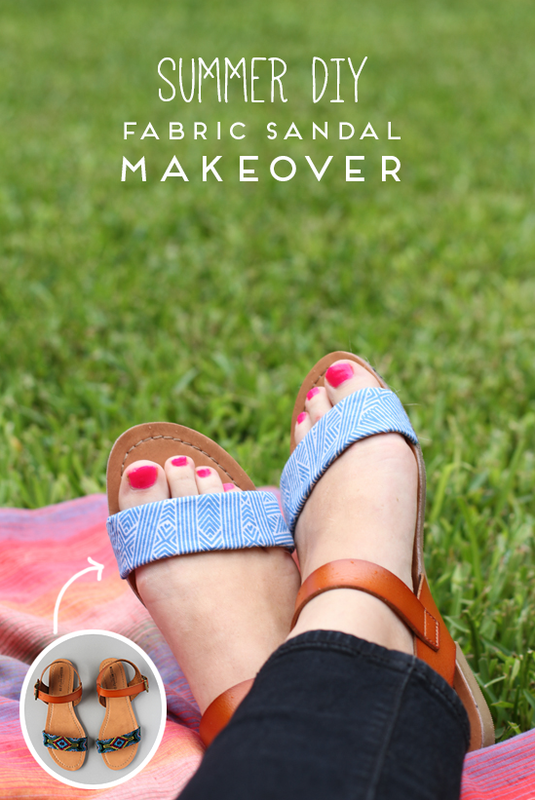 Such a cute DIY… I’m trying to figure out what pair of sandals I could re-vamp. I have a couple pair similar to that from Target this year that I could freshen up! AMAZING! So simple, and yet so effective. Completely transforms the sandals. And if you get bored of the pattern, you could always try something else too! So smart. I am kind of obsessed with studded footwear this season (and most seasons), maybe I can add some fabric and studs to an old pair of sandals. 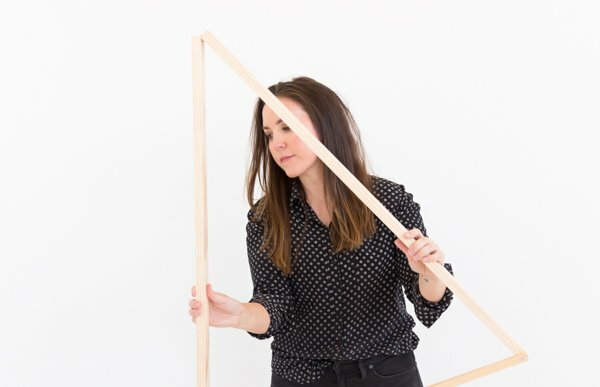 Thanks for the (daily) inspiration lady – you rock! Love that idea of adding studs Alexandra! 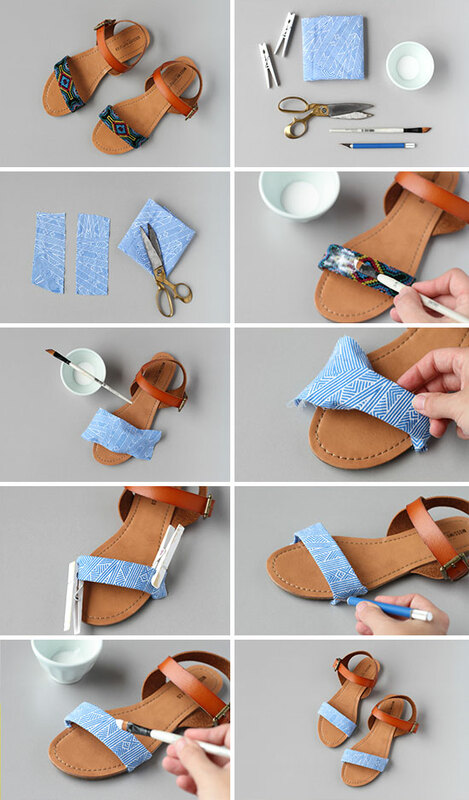 That’s such an amazing DIY, I love how something as simple as changing the fabric on the toe strap can make such a difference to how fresh those sandals look. How long would you say the mod podge holds the fabric in place? Hey Gemma. The Mod Podge is pretty darn secure if you use a good amount upon first and second application (once underneath the fabric scrap and then once again on top of the entire strap). It has only been a few days since I completed this project, but I’ve worn them everyday since and they are holding up great so far. With enough Mod Podge I’d say the fabric is pretty permanent. Hope that helps! This is so smart! I definitely want to try this. Pinned! Great idea. Appreciate your thinking it up and sharing with us. Now I won’t be afraid to buy those sandals that feel good but are just not me. I can make them me. Yeah. These are too cute! Wish I had some extra money lying around for a new pair of shoes. Those sandals are so cute, especially after the DIY! This is such an amazing idea! 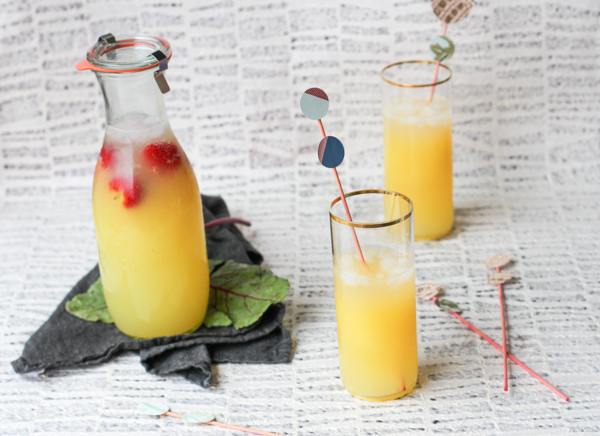 I’ve never heard of mod podge before I started blogging but I’m hearing all about it on DIY blogs. I’m guessing its just similar to glue? Anyway this is such a great and simple idea. I’m always put of off by some sandles because of the pattern and this could totally change them! Thank you for replying to my question. I will definitely be giving this a go. And to the girl who wasn’t sure what mod podge is I’ve had it desribed to me as a really strong american clue. super gorj what a huge improvement. I love them summer colours – brr its cold down here in the southern hem. bring on summer! Such a great idea and I love the pattern of the fabric that you used! Thanks for the idea!I have real ‘tomboy who likes to live in Crocs and sandals all summer, hers are so comfortable!any ideas about how to bling crocs?